Though its customization options give you the power to create any kind of blog, Bundler Theme was built with web design related niches in mind. 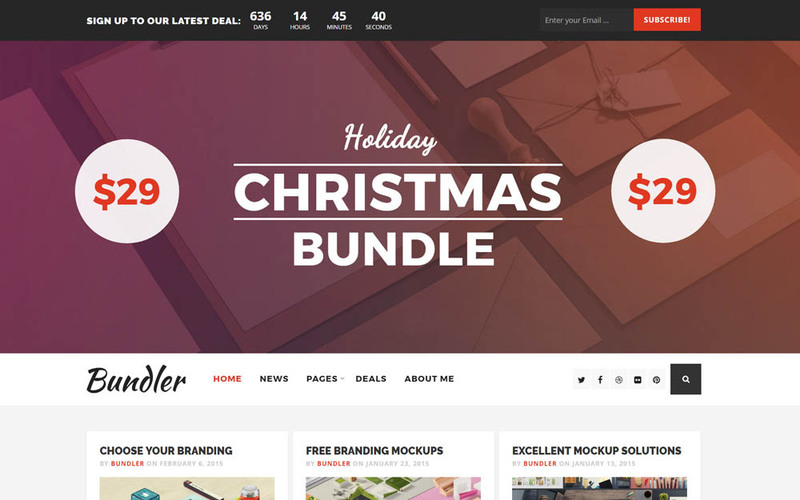 That said, your fantastic graphics, mockups, freebies and other goodies will have an advantage with the free theme, Bundler. Overall, it is a bold WP theme with an eye-catching and very neat and fresh design. It gives you the opportunity to present your content in a way that will really make it stand out and grab your visitors’ full attention. Needless to say, it features a one-click demo install and will assist you with creating a professional looking website without any coding knowledge.